Gov. Paul LePage, here at a January news conference in Augusta, has managed to offend many constituencies with his bluntness. 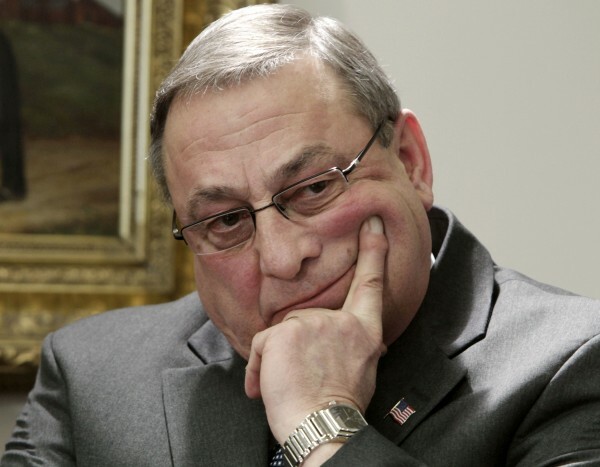 The top story of 2011, according to the Maine Associated Press, was Gov. Paul LePage’s first year in office. It’s hard to tell how the governor will take that designation; in fact, it’s neither insult nor kudos but an acknowledgement of the governor’s impact. The governor has taken state government on a very different course than his predecessors, whether they were Democrats, Republicans or independents. If one were to trace the trail taken by Joe Brennan, John McKernan, Angus King and John Baldacci, it would resemble a gentle slalom to the left, right, center and left. Gov. LePage’s policies are a hard — some might say reckless — right turn. This is why many make the point that winning with just 38 percent of the vote should temper his political instincts and perhaps have nudged him toward the moderate range of the spectrum. The companion story of the year is the Republican Party winning control of both chambers of the Legislature for the first time since the 1960s. While this would seem to make the Republican governor even more effective in achieving his agenda, it has been legislators of his party who have reined-in his more sweeping proposals. This conflict is at the crux of the governor’s problems as a leader. He will have a more successful 2012 if he reflects on his core legislative goals rather than his core ideology. And he will be more successful in the coming legislative session if he works harder to understand and respect the process. The shopworn metaphor that government is like an ocean liner in that it takes lots of time to turn might be tweaked to explain Mr. LePage’s year at the helm. We understand that his professional background has largely been in the business sector, but it’s as if he wears his lack of governing savvy as a badge of honor. It’s wearing thin a year into his term. To employ another metaphor, it’s as if Mr. LePage has run a lobster boat for decades and now has been hired to captain a four-masted schooner. The passengers are tiring of hearing the new captain explain his impatience with the vagaries of the wind. The image of the governor sitting as a spectator during deliberations of the Appropriations Committee, arms folded and scowling as legislators tried to learn why he and his commissioner of health and human services want to cut loose 65,000 people from health services, makes the point more vividly. If there were any misconceptions about his presence at the committee meeting, the governor cleared them up by implying legislator queries were a waste of time. Rather than spout his ideological perspective, the governor should craft practical initiatives that get state government where he wants it to be. Instead of castigating those who receive government-funded services as cheats and ne’er-do-wells, he should create a phased-in plan that steps up eligibility thresholds over the next few years to coincide with an improving economy. Instead of asserting that unemployment benefits are too generous, he should boost job training programs. Instead of repeating the refrain that regulations cripple business, he ought to propose a dozen or so changes and work to build consensus that, for example, easing wetlands protection laws won’t harm the environment. Instead of rolling back taxes on million-dollar estates, his budget should reward young entrepreneurs and college graduates who stay in Maine. We can’t expect Mr. LePage to become kinder and gentler, but he can become less volatile, more savvy and more persuasive. It’s in his interest to do so.